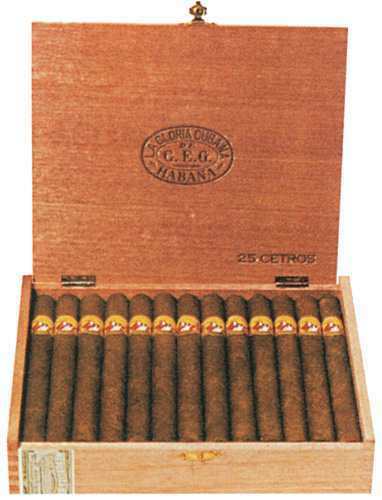 Box of 25, 6 1/2 x 42Its medium bodied with a spicy and mellow taste. This is made by the some of the most careful hands in Cuba.Lovely cigars very rare to find worldwide. It is for aficionado who are looking for very specifics one. As we know, those boxes are pre-1960 release and Discontinued early-1990s. Rated 95 by cigars aficionados at that time. Smokers were asking for years about this treasure cigars, then finally On 2009 Habanos S.A. produce cabinet boxes for Spain market. Those are the one we are carry on in stock. Limited Quantity.